Take control for your indoor environment. You can improve your comfort and health starting today. According to Wikipedia: Indoor Air Quality or IAQ, is a term which refers to the air quality within and around buildings and structures, especially as it relates to the health and comfort of building occupants. Control over Indoor Air Quality can be as simple as keeping Carbon Monoxide out of the air. It can also mean taking complete control of the temperature, humidity, and filtration of airborne contaminants. Temperature control can be achieved by your furnace or air conditioner. Your thermostat controls the precision of the temperature by “anticipating” when to turn the heat or cool on and off. Newer digital thermostats are better at maintaining temperature within a 1-3° range. Older style thermostats usually let the temperature swing a little more. The less the temperature fluctuates the more comfortable you will feel. Humidity control can be obtained with a humidifier and an Air Conditioner. You can either increase or decrease the relative humidity in your home. Too much humidity (over 70% RH) can harbor mold and allow condensation problems. Too little humidity (under 30% RH) can lead to many discomforts, such as dry skin and excessive thirst. Around 50% RH would be ideal for human comfort. In Colorado anything above 30% RH is usually comfortable, especially in the winter time. 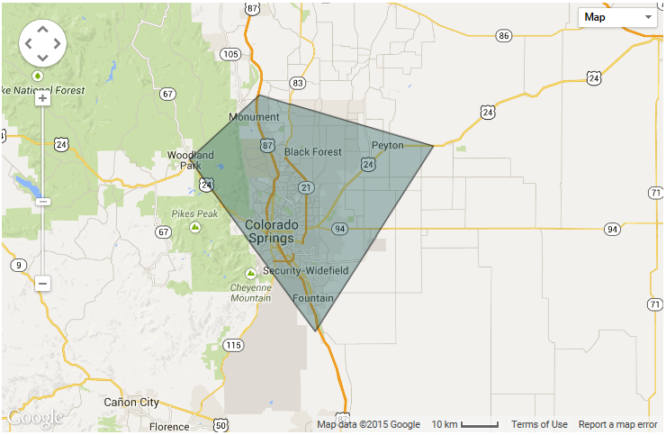 Your Air Conditioner can dehumidify, although we usually do not have excessive humidity problems in Colorado Springs. Air Filtration control for most people is a cheap disposable “filter” loosely placed in their furnace. The air in your home may contain dust, pollen, pet dander, mold spores, dust mite feces, and other nasty little things. That disposable air filter only filters out the large stuff. An Electronic Air Cleaner / Purifier uses an electrical charge to attract fine particles and hold them to a disposable or washable fiber media. What does Calibrating Air offer for Indoor Air Quality? If you still have an old mercury thermostat, I think it’s time to upgrade. Just changing it to a digital thermostat will be an improvement in temperature accuracy and comfort. If you switch to a programmable thermostat you can lower your utility bills 5-10%. 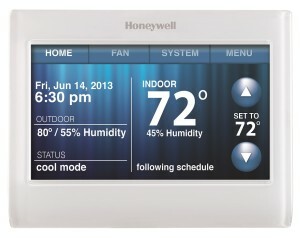 A Wi-Fi thermostat will allow you to control the temperature in your home from anywhere in the world. They can even email you if your heat fails during the winter, or if the A/C fails during the summer. Wi-Fi T-stats range from a basic more affordable style to a high definition screen and full communication with your Furnace or A/C. We do not sell the Nest, sorry. We can install it for you if you already have one. Below are just a few indoor air quality brands we carry. For details about specific models or any Indoor Air Quality Products question please call us.